The head office of our company, and our classical jewellery and watch shop, is located in the Steglitz district of Berlin. 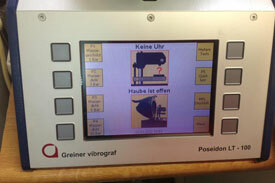 Uhrencenter Berlin (Berlin Watch Center) is a specialist center for second-hand watches and jewellery. Bargain new goods from business liquidations and collection liquidations. High-quality jewellery and exclusive brand-name watches at bargain prices. In our shop, you'll find ever-changing deals from renowned manufacturers. 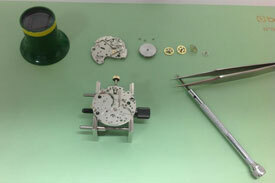 The Uhrencenter Berlin has its very own in-house watch-making workshop, which has been certified by several watchmakers and goldsmiths. 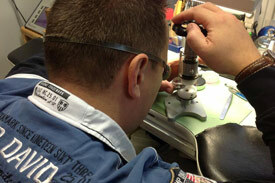 Every watch from our collection is inspected and approved in our own certified watch-making workshop. 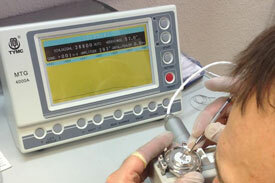 You can therefore be assured that the watches, which you see here, are fully tested and functional. Furthermore, the casings and straps of our watches are professionally refurbished, so that the watch that you receive is in an excellent condition. We test the water resistance of each watch, and this is recorded in the accompanying test report, which gives details of the waterproofing test procedure, as well as information about the test duration and water-pressure depth. According to, DIN 8310, the standard for measuring the water resistance of watches, the water impermeability of the existing seals does not remain constant since they are subjected to normal daily use and hence naturally alter with time. 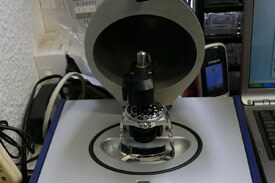 Please follow the advice given on the test report and waterproofing protocol which accompanies the watch. If no details are given of the water resistance, then the watch has not been tested by us.